You can use phpMyAdmin to create and drop databases, create/drop/alter tables, delete/edit/add fields, execute SQL, manage user privileges and export data into various formats. 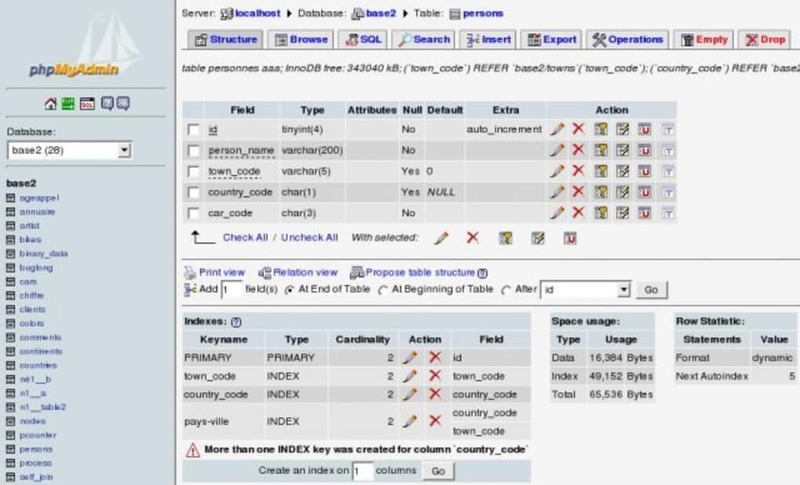 Although phpMyAdmin's a remarkably simple SQL database, it's obviously still beyond the grasp of most novices users, especially those that have no SQL database experience. However, the success of phpMyAdmin has been so great that the developers have even written a book about it! If you are just starting in php however and can't handle the complexities of the book, then the developers have also written an easy to use tutorial aimed at programmers, designers and analysts of dynamic websites that want to learn the basics of SQL. Of course, before you start anything you'll need access to a MySQL server which you can host on any major web hosting platform.